This is my lotus and OM charm layer necklace in Sterling Silver. 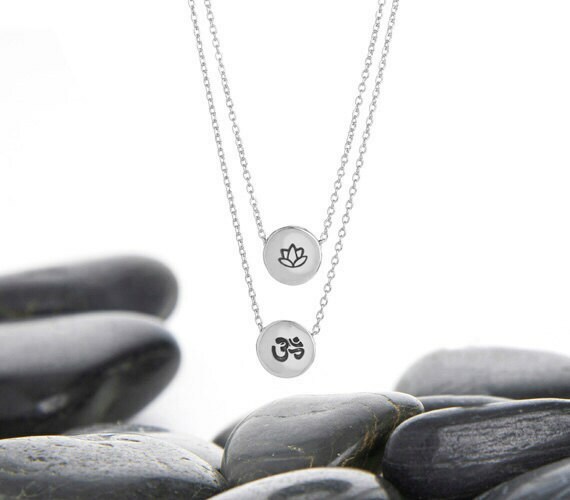 Choose the Lotus and OM symbol or personalize your layering Necklace with another. Love it! Great quality. Seller was awesome about letting me know when the necklace would be shipped. Will order again. I love this necklace so much i wear it everyday!! Love my necklace and bracelet! I have worn them both and received many compliments! Thank you!! !